Countries in the Asia Pacific region are threatened climate change impacts; floods, landslides and severe droughts. Impacts that could fuel a rise in food and water prices, increasing competition and conflicts among communities over depleted resources. The economic impacts could reach further than the agriculture sector, affecting industry and investments. Meanwhile, climate induced migration is already hurting the worst hit communities in the region. Yet the world lacks the administrative and legal systems to properly recognize and protect them. In a new report, Friends of the Earth Asia Pacific demands that governments look beyond emergency responses to climate disasters and address the issue of displacement, ensuring justice and protection for impacted peoples. The report cites examples of how climate change is driving migration in Sri Lanka, Papua New Guinea and the Philippines. 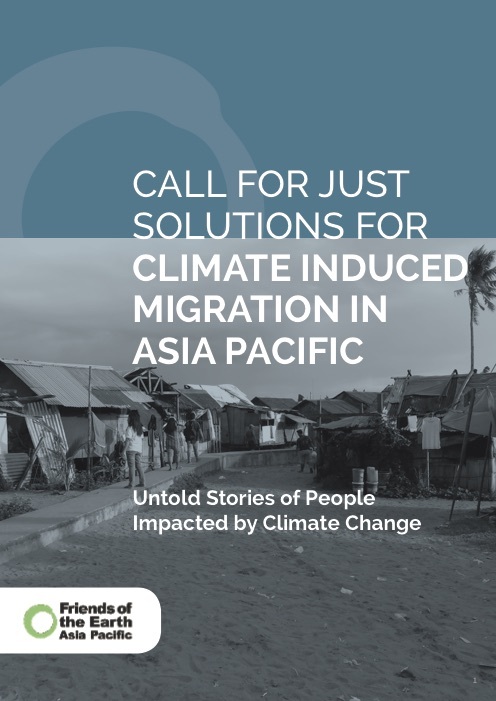 This paper was produced by Friends of the Earth Asia Pacific to facilitate the discussion on the issue of climate-induced migration during COP 23 in Bonn. Next Project Why Sri Lanka Should Ban Single Use Plastics?